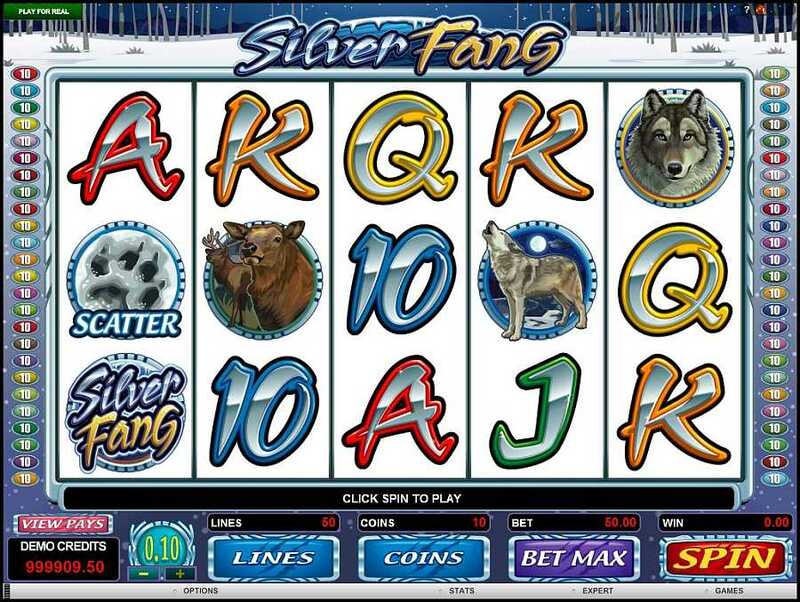 With its very good soundtrack and audio quality, incredibly effective graphics and animations, Bonus free spins rounds and Gamble game, the Silver Fang video slot game is certainly one worth playing. 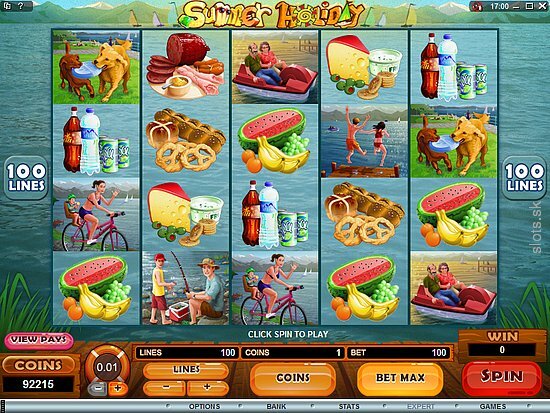 Since it is developed and produced by Microgaming, players can rest assured that this game is expertly crafted and combines top quality features and an easy-to-understand user interface. However, this particular video slot game does not have very impressive payouts and, aside from the fact that the Wild symbol does not act as a multiplier, there is also no progressive jackpot, either. Of course, many hugely popular online casino slot games have similar disadvantages and yet continue to enjoy a following. That is because of the features that are offered as these make up for any possible shortcomings, and the Silver Fang online casino slot game is no different in this regard. 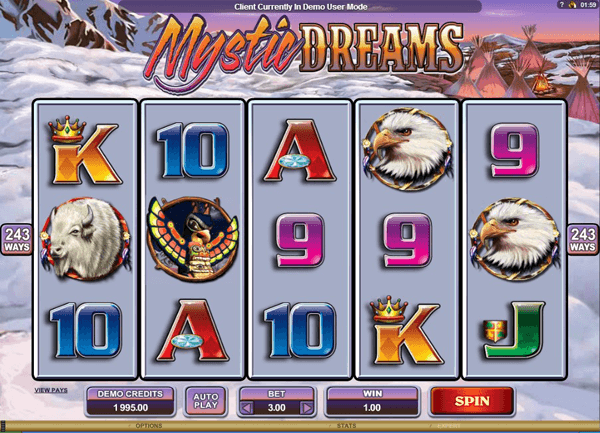 The chilling theme of this video slot game is achieved thanks to its wide use of white since it is set in a snow-covered winter land. Nevertheless, prospective players should not make the mistake of assuming that the lack of vibrant colors must therefore make for a rather dull and uninteresting game with little aesthetic appeal, because nothing could be further from the truth. In fact, Silver Fang has some of the best graphics when it comes to online video slot games. The Wild symbol is a wolf that howls to the night moon. His paw print in the snow is the game’s Scatter symbol. Aside from the theme-related symbols, all of which are animated, there are also animated playing cards that look like ice sculptures. The audio and soundtrack are rather impressive as well, not least of all the baying of the wolf. What makes Silver Fang very appealing to many online slot game enthusiasts is the fact that there are no fewer than 50 paylines. As most players already know, the more paylines there are, the more chances there are of winning. Players can wager up to 10 coins on each payline they enable with a maximum bet of 25 credits. The maximum payout for this slot game is 125,000 credits. For players that prefer not to have to set their betting preferences at the start of each and every spin, there is the “maximum bet” option. This allows players to simply click a button and the game automatically wagers 10 coins on each of the 50 paylines and then spins the reels without the player having to click the “spin” button themselves. 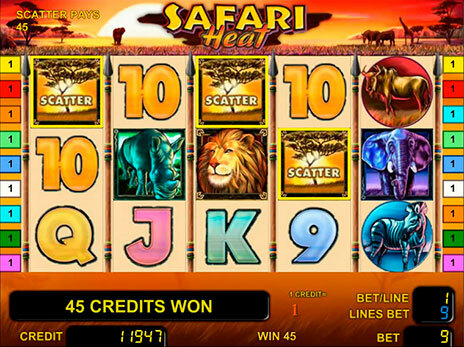 The Wild symbol is the wolf and, like most online slot games, the Wild symbol does not act as a multiplier, nor does it substitute for the Scatter symbol in order to complete winning combinations. When the Wild symbol appears on the reels during the Bonus feature it is stacked. The Scatter symbol in the White Fang video slot game is the wolf’s paw print and three or more of these are required in order for players to receive a Scatter payout. Scatter payouts get multiplied by the original total wagered amount. If five Scatter symbols turn up on the reels, players receive 50 coins. Three or more of them will automatically launch the Bonus feature where players are awarded free spins. 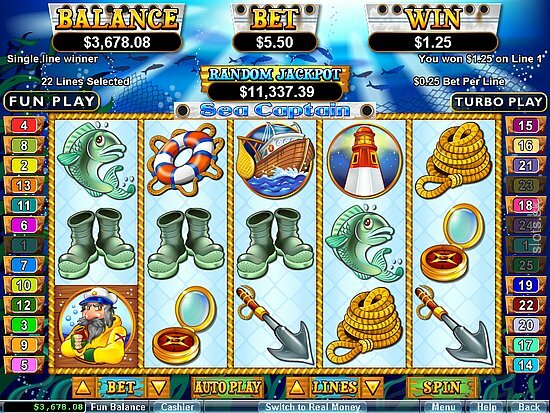 The Bonus feature provides the player with 15 free spins as well as a multiplier that will multiply payouts five times. It is worthwhile mentioning that the free spins Bonus round can be re-triggered during play but there is no additional Bonus given during free spins. Although there is no progressive jackpot, players can look forward to the Gamble feature that has a limit. Nevertheless, players have the opportunity to double their winnings or even quadruple them. Since this is a Gamble feature, the amount wagered by the player can be lost, of course.